Yes! Pretty Cure 5. Team of the 5 Cures: Dream, Rouge, Lemonade, Mint and Aqua.. Wallpaper and background images in the pretty cure club tagged: pretty cure yes! 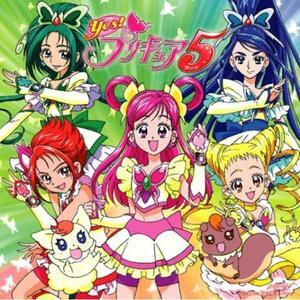 pretty cure 5 cure dream cure rouge cure lemonade cure mint cure aqua 5 girls. Team of the 5 Cures: Dream, Rouge, Lemonade, Mint and Aqua.